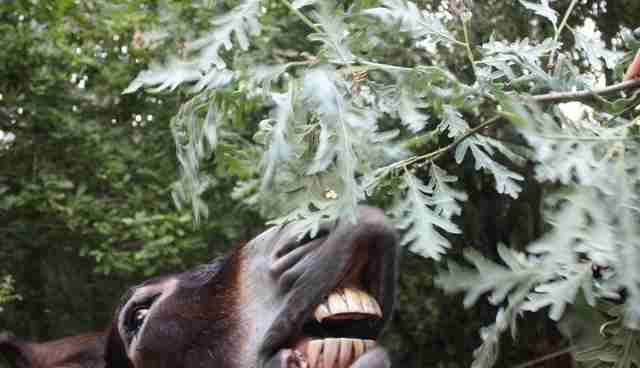 Fernando, a Spanish donkey, knew nothing but work for his first 20 years on Earth. 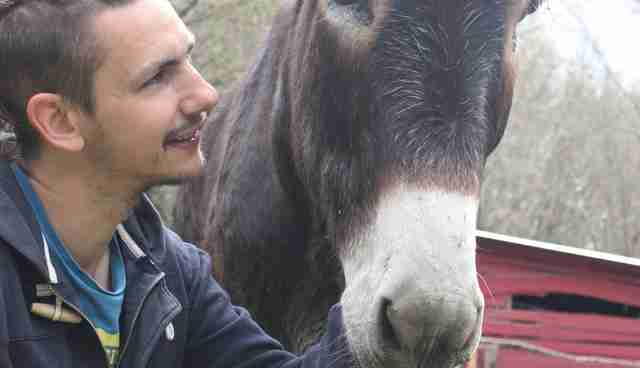 When he injured his foot, the owners who had profited from Fernando's work on their farm drove him out to the middle of nowhere and dumped him there. 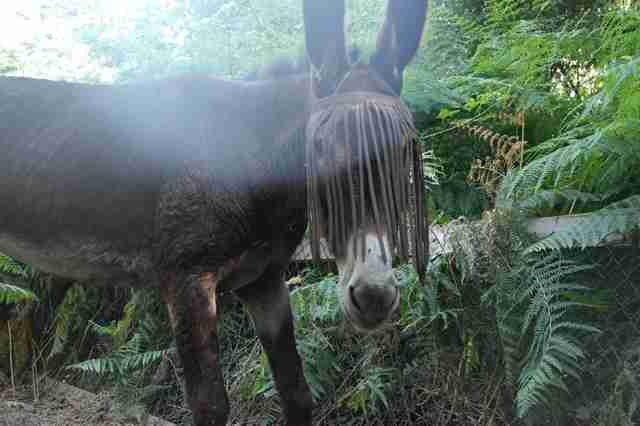 A woman was walking her dogs when she saw the donkey, totally abandoned and desperate for help. She immediately called the Mino Valley Farm Sanctuary. 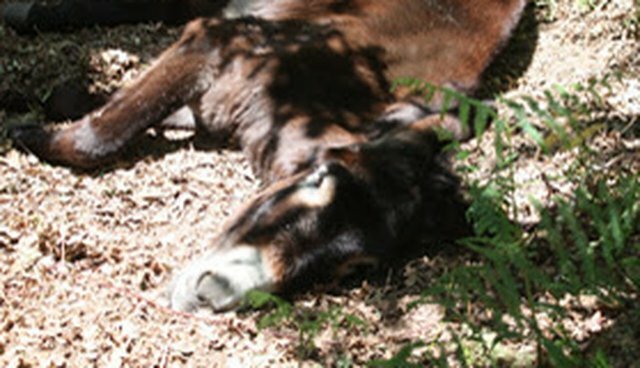 The people who run the sanctuary jumped at the chance to help the desperate donkey, but they needed some help of their own - they had no way to transport him, even if they found him in the forest. 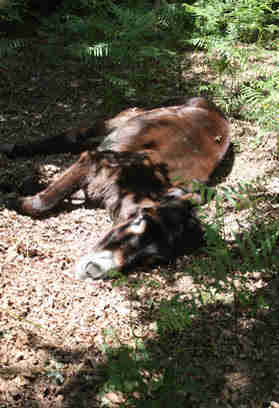 The sanctuary turned to Facebook, posting a plea for anyone to help them with the rescue. They only had to wait 45 minutes before an off-duty firefighter came forward with his truck. The firefighter and the sanctuary rescuers drove off, headed to where the injured donkey had been spotted. They were told that he was somewhere on the outskirts of a village about an hour and a half away. Arriving in the area, rescuers scoured the forest. "We started out to rescue him and it began pouring rain," the sanctuary said. "We were searching desperately with torches in the darkness in hopes of finding him." Just when they thought they never would, they clambered over a patch of brambles to a clearing. Just over a woodpile, they saw a little head peeking out at them. "You could tell that he was just so relieved to see someone and we fell in love with him instantly," the sanctuary said. 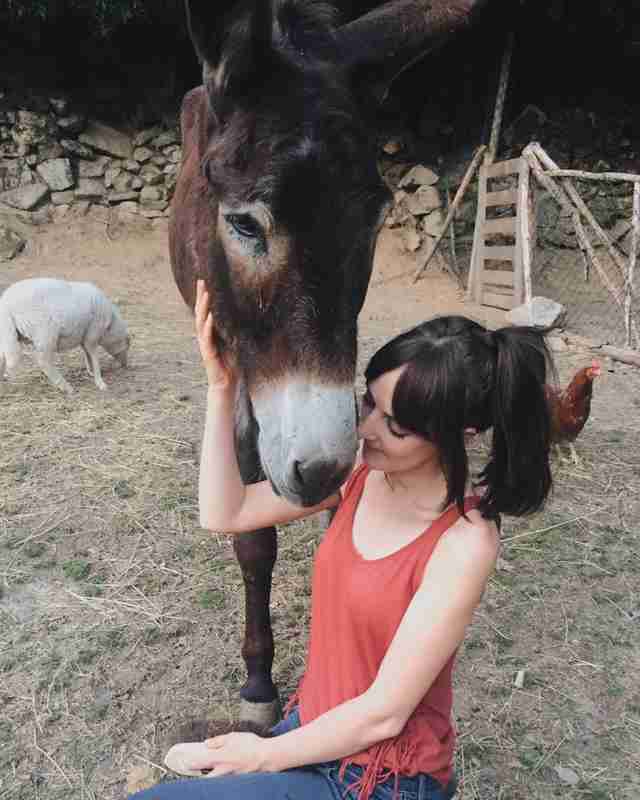 "Farm animals are often abandoned because their lives are only valued in monetary terms, and when they are no longer considered profitable, because they are too old, become sick or get injured, they are just discarded and left to fend for themselves," Abigail Geer, co-founder of Mino Valley Farm Sanctuary, told The Dodo. 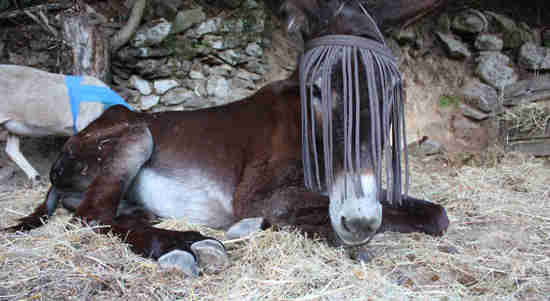 The authorities would have likely sent an unwanted animal like Fernando to slaughter. 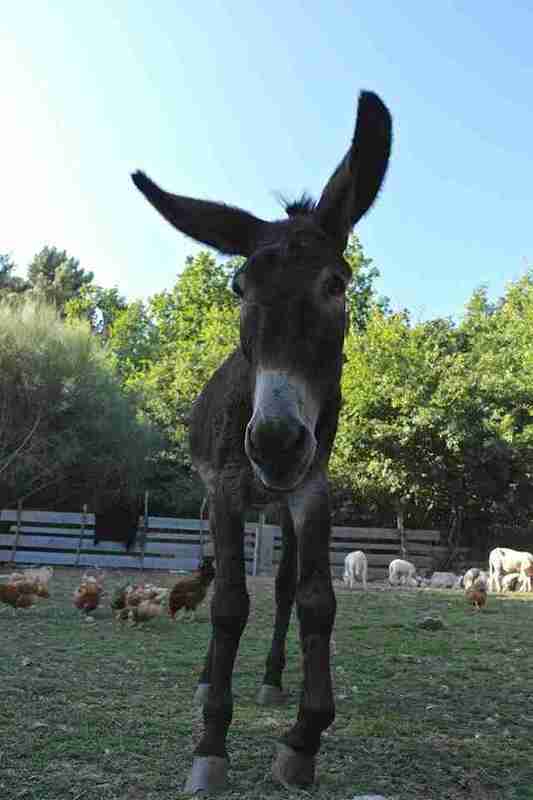 Fernando is now living happily at Mino Valley Farm Sanctuary. As colder seasons approach, the sanctuary is relying on donations to help build Fernando the house he needs to stay warm. "We believe that innocent animals like Fernando deserve our love and respect," Geer said. We couldn't agree more. 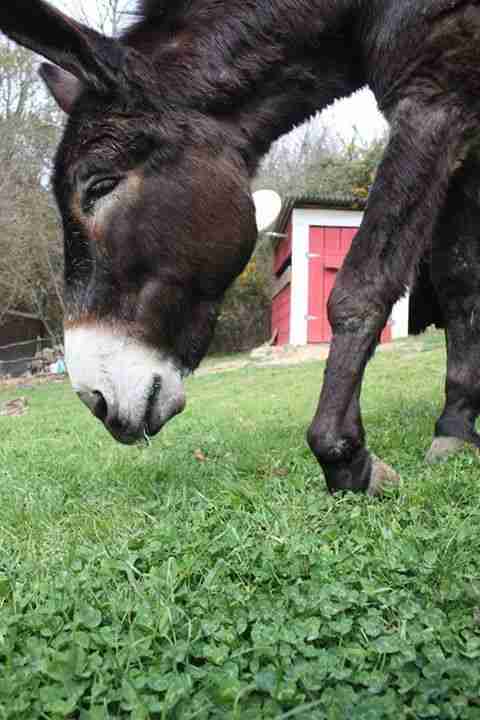 Help Mino Valley Farm Sanctuary build Fernando the warm home he deserves.